The Chinese government has formally approved the development of a $3.25 billion Universal Studios theme park in the Chinese capital. Tom Williams, chairman and chief executive officer of the Universal Parks and Resorts, announced plans and unveiled some details for the new theme park at a launch ceremony two weeks ago. The Universal project was approved by China’s State Council after more than13 years of negotiations and planning, said Tom Williams, and he added that this amount of time was typical in China. The entertainment complex will be the first major foreign-owned theme park in Beijing. 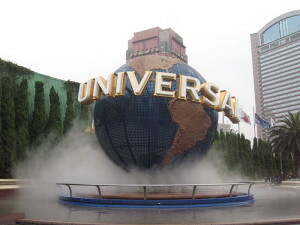 It will be the third park in Asia after Singapore and Osaka, Japan. The amusement park and the supporting facilities will be built on a 300-acre site initially and the development is planned to be expanded in phases to a 1000-acre park over time. It is planned to be built in the eastern suburbs of the China’s capital, Tongzhou district and the park is slated to open in 2019 as a local newspaper reported. There is widespread local media speculation that the new entertainment complex will be the biggest theme park Universal Studios has ever done. The long-rumored park will be jointly owned by Beijing Shouhuan Cultural Tourism Investment (BSH Investment) which is a consortium of four state-owned companies and Universal Parks & Resorts, a division of Comcast Corporation NBCUniversal. Universal Beijing theme park likely will include the same kind of movie-themed attractions featured at the other Universal parks in Los Angeles, Orlando, Singapore and Osaka: Harry Potter-and-Transformers related attractions. It will also have attractions specifically created for China. When asked what Chinese elements the park would include, Williams refused to give further details and said the theme park will “pay proper respect and homage to Beijing” and the culture in China. In addition, there will be a Universal CityWalk entertainment complex including multiple retail, dining and entertainment facilities and the first ever Universal-themed resort hotel.